Remember, advice is generally offered to you by people who don’t know what they’re really on about; however, I declare myself an exception to this rule. View the Brickworks at High Tide, if you possibly can. Two reasons. The first, it’ll give you a sense of the brickworks not only as a point of manufacture, but also as a working harbour for transporting the bricks to the World. Reach back into the very belly fires of Victorian innovation and gigantic industrial growth that taught the world how it was done. The Victorians were very much like the Romans in that whatever territory they found themselves they would scour the countryside for materials that would sustain their civilisation. It would have been obvious to any Victorian geologist that the North Anglesey coastline indicated an abundance of Quartzite. But why bother with quartzite? Much of the wealth of the British Empire came from Steel Production; whether as a material or goods to sell to the rest of the World, or as a means for transportation: railways, trains and ships. Steel was vital. The steel industry is based on heat; its generation and sustaining the metal furnaces at incredibly high temperatures. I believe that the bricks inside the older furnaces maintained temperature and protected the vessel itself. 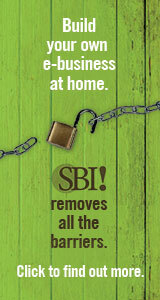 Specialised bricks were required for this role. 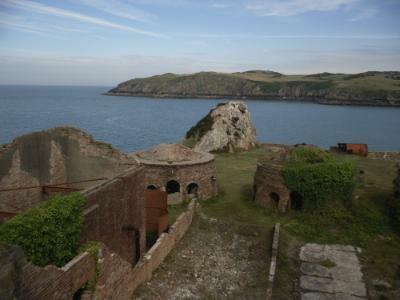 That’s where Porth Wen comes in: the manufacture of Silica Bricks. Quartzite is a siliceous rock rich in silica for making these bricks. The challenge of transportation from the very isolated Anglesey coastline was a problem that had to be overcome. The ore on the headland was first mined around 1850, with the ore being hewn out the living rock by hand and simple engineering innovation. A little railway brought the ore to the cliff above the brick works where the rocks would be pummelled and rendered to a size that could be further processed. In Mynydd Parys at Amlwch (further to the east) employed women with iron covered gloves to break the rocks into smaller pieces. Taking Great Care find a position by which you can view the works in profile of the factory. Having employed mechanical energy to bring the ore to a position above, the smart engineers decided to take advantage of the slope and gravity to bring the ore down to the plant. The productions stages were tiered and the further processed ore would descend from the one to the next. Once the ore was finely resolved it was moulded and dried before being stacked inside the Bee-Hive Kilns. You’ll immediately notice on your visit that there are three of these kilns and I do encourage you to have a look inside the kilns. Watch your head! 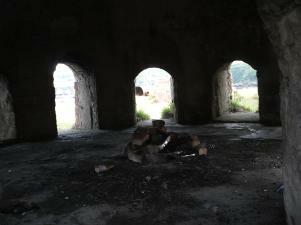 While two of the kilns are easy to access there is one is where the arches are almost blocked. A fire would be stoked and the kilns sealed to ensure a high and consistent temperature. If all had gone well during preparation and the firing then the brick that finally emerged was yellow. You’ll find plenty of inferior bricks about the site. The works as you see it today is not as it was in the late 19th Century. Most of the existing site was constructed at the turn of the 20th Century and evolved from there onwards according to refinement of the techniques for making the bricks. 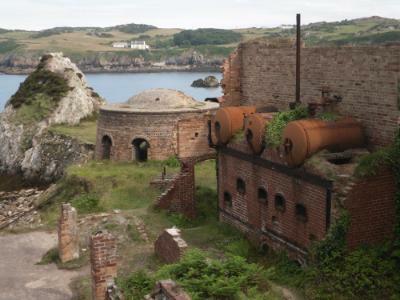 Mining by manual endeavour lasted from around 1850 to 1914, even though the Porth Wen brick works was taken over by a German named Herr Steibel in 1906. Now Herr Steibel would never have undertaken the management of the works unless he believed there would be a profitable return for his endeavours. Poor Misguided Fool. Herr Steibel’s tenure only lasted until 1908 when a Charles Tidy took over. Progress in manufacture revealed itself in how the individual bricks were made. Unlike Herr Steibel, who had continued with the traditional moulding and wire cutting into shape, Mr. Tidy used a simple shape pressing technique that cut out a time-consuming and therefore expensive stage of production. 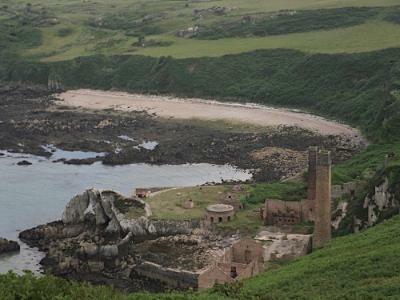 However, because of technical – or was it personality issues, as alleged elsewhere - the quality of the final product declined markedly and the work at Porth Wen came to an end in 1914. The beginning of the First World war should have been a profitable time serving the wartime steel industry; nonetheless, it failed. The brickworks remained unused until 1924. Production struggled on until 1949 when they finally gave up the ghost. 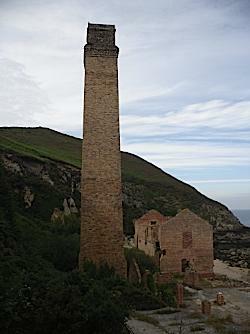 Just as the Mynydd Parys Copper Mines to the east, the product of Porth Wen Brickworks had to be taken out by sea. The Parys Mine Company built a railway from the copper mines to Porth Amlwch (Amlwch Port), which was a safe harbour and quay where sailing ships could ride out storms and be loaded with their valuable cargo. 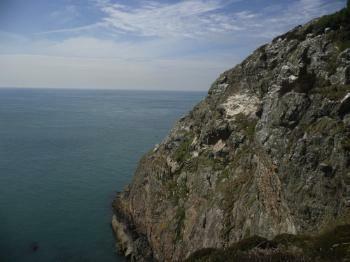 Whereas Amlwch had a safe harbour for waiting boats, Porth Wen was never able to offer such sanctuary. At low tide the sea falls away to reveal a bed of sharp rock. Ships could be fatally damaged here. Not many of the ships sought to stay there longer than they could. Indeed, given a good North Westerly or North Easterly storm no captain worth his salt would seek to be anywhere near Porth Wen. The harbour walls could not shelter the ships from stormy swells and a battering against the quayside. While the brick works remained profitable and a market was assured this was a challenge that could and was endured. Once the market declined then this poor harbour became a major obstacle to profitability. Neither could goods and materials vital to production be brought to the works in foul weather. 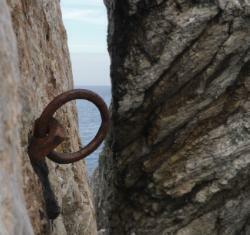 The death knell was ‘knelled’ from a long time out. I'm offering you the pleasant route to Porth Wen below. 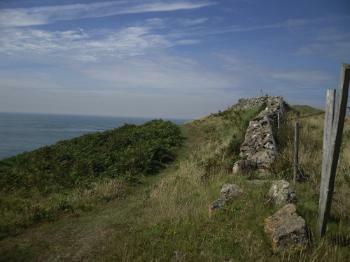 There is also a cross-country route that you'll find on OS Map 114 for Anglesey. It's a bit of a trek and nowhere near as pleasant. 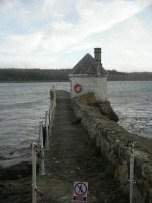 You'll need your walking boots, sandwiches and a flask to make sure that you enjoy your journey along the Anglesey Coastal Path to Porth Wen. Return here when you've learned the route. Remember to take time to visit this historic ancient church before setting off along the cliff path. Follow the churchyard path to the wall and glance to your left where you'll see a sign, 'Old Stile'. Cross over. Bit of a struggle for those of us with dodgy knees. Follow the path to your right into peaceful and absolutely delightful coastal beauty. The gentleman who was manning the St Patrick's Church that day told me it was about 45 minutes to get to Porth Wen. I'd add about a good half hour to that if I were you because you'll be stopping to enjoy the view often. Especially about half up some of the hills. You'll discover the first abandoned industrial site after about 25 minutes. This is Porth Llanlleiana. I'll write about this in the near future; however, for now learn that Llanlleiana is Welsh for Llan = Church and Lleian = Nun. There used to be a nunnery here. A few miles ahead you'll see a beacon on a headland. When you've reached here you'll encounter the first indications of Porth Wen Brick Works. The path can get a bit steep here so choose your route down with great care. Don't be tempted to cut through the ferns because this steep. Moving Down To And About The Site Calls for Great Care. 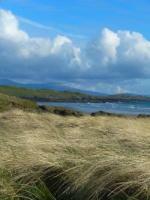 Return from Porth Wen to WHY ANGLESEY? Page.